See the sensational Fall colours, plunging Niagara and some of North America’s greatest cities as we journey from glittering Manhattan to Toronto’s ‘Maple Leaf Trail’ and Quebec, and from stunning Vermont to coastal Maine and Boston. Join us to discover North America at its stunning autumnal best. Fly across the Atlantic to New York. Upon arrival, meet your Tour Manager and transfer to your hotel for a two-night stay, and to rest and relax after your journey. Today you’ll head into the heart of New York. Explore on your own, or join our optional guided tour, which ends with a visit to the Top of the Rock for phenomenal views from the towering Rockefeller Center. Later today we’ll return to New Jersey for a further night. Today you’ll head north, boarding the coach for the scenic journey through beautiful, rural Upper New York State to spend two nights close to Niagara Falls. Enjoy your first evening in the colourful, bustling resort city that has grown up around the cascades, and which draws visitors from across the globe. Enjoy a full day in Niagara, perhaps board the Hornblower Niagara Cruise for a spray-soaked passage close to the foot of the torrent. Alternatively, for a bird’s eye view of the magnificent Falls, take an optional helicopter ride above the tumult or enjoy lunch from the viewpoint of an overlooking restaurant. This morning you’ll make the short journey to the historic delightful town of Niagara-on-the-Lake, with its pretty houses and world-famous Shaw Theatre (one of America’s most celebrated playhouses). After time to explore, we’ll continue to the sparkling city of Toronto where you’ll be able to see its glittering waterfront, sky-piercing CN Tower and its colourful contrasting neighbourhoods, including Chinatown and Little Italy, on an optional guided tour. Today, you’ll board the coach and travel east along the colourful Maple Leaf Trail to romantic Ottawa, Canada’s administrative capital. Spend some time exploring its streets lined with pretty Victorian houses, the grand Parliament buildings and Rideau Canal, before continuing to Montreal for a two-night stay. Today’s included excursion takes us to charming, historic Quebec City – one of Canada’s oldest and most picturesque settlements. See the stunning Chateau Frontenac, ancient ramparts and UNESCO-listed centre on a fascinating, optional guided city tour, before we return to Montreal. After a morning spent exploring Montreal’s historic Vieux Port area, board our coach once more for the scenic journey back across the US border into leafy Vermont, to spend the night in the exquisite surroundings of the Jay Peak mountain resort. 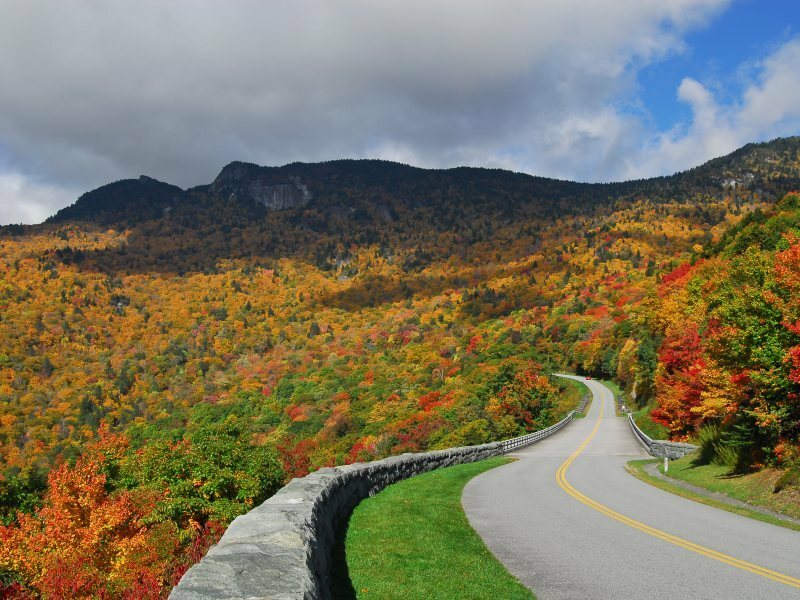 Travel through stunning scenery via the Franconia Notch and the spectacular fall foliage of the Kancamagus Highway. On this memorable day, we’ll pass through the White Mountains, and head to the beautiful mountain village of Bethel, in the ‘Great State of Maine’, for a two-night stay. Discover the sheer beauty of New England’s scenery on today’s optional tour. We’ll journey along the leafy lanes of northern Maine and enjoy a ride on the Mount Washington Cog Railway to the summit of the highest peak in New England. Return to Bethel, and this evening enjoy a guided drive in search of moose. On today’s journey, call at prosperous Portland, with its waterfront wharves and fine seafood restaurants, then visit delightful beachside Ogunquit and exclusive Kennebunkport before crossing into Massachusetts to spend three nights in Hull, close to elegant Boston. Explore Boston, today, and perhaps join our optional guided city tour, which will show you where America’s Founding Fathers once strolled. See famous Quincy Market, the Harbourside or the wonderful New England Aquarium, or cross the Charles River to the home of Harvard University. You’ll find many opportunities to enjoy dinner here – perhaps sampling the local clam chowder, or a delicious New England lobster. Today, you’ll have the chance to follow in the Pilgrim Fathers’ footsteps at Plymouth, in the historic streets of ‘America’s Hometown’. You’ll visit the fascinating Plimoth Plantation, where the early days of the European settlers are re-enacted. You’ll then travel on to Cape Cod and visit Hyannis, hometown of the Kennedy clan. Return to New York via the elegant sophistication of Newport, Rhode Island. The East Coast’s premier resort town is famously home to some of America’s wealthiest families and their opulent weekend ‘cottages’. You’ll then transfer to the airport for your overnight return flight to the UK.